Ameo is the latest vehicle from the house of German car manufacturer Volkswagen. The German car major has entered the compact sedan segment of the Indian auto market with the Ameo which is the compact sedan version of their Polo hatchback. The Volkswagen Ameo is designed keeping the Indian consumers in mind and with the objective to tap the most of tax benefits of vehicles that are less than 4 metre length. 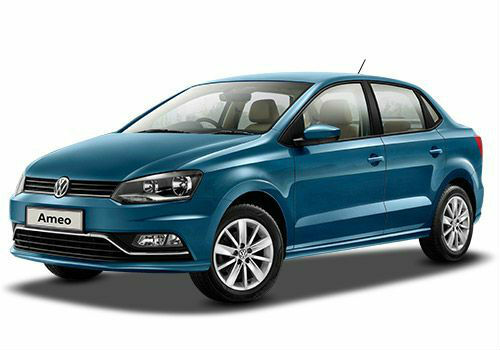 The Ameo comes with the elegant looks of the Polo with the radiator grille in the front, head lamps and bumper. Stepping inside you will find the cabin of the Ameo is also very well styled with a generous touch of aesthetics. However, it is a bit disheartening to see that the Ameo comes with fabric upholstery instead of leather, though the leather covered steering wheel and the premium quality of plastics used add a dash of premium look to the interiors of this car. The brand new infotainment system is of top quality both in terms of the user interface as well as touch screen hard ware. The Ameo offers ample space inside and a boot space which is pretty large. The rear passenger seats can also be further folded to free up larger storage area. The Ameo is driven by a petrol 1.2 litre unit and a 1.5 litre diesel engine, both of which come with a 5 speed manual transmission system. The Ford Figo Aspire is the American car maker’s first model in the sub 4 meter compact sedan category specifically targeted for the Indian car purchasers and other emerging car markets across the globe. 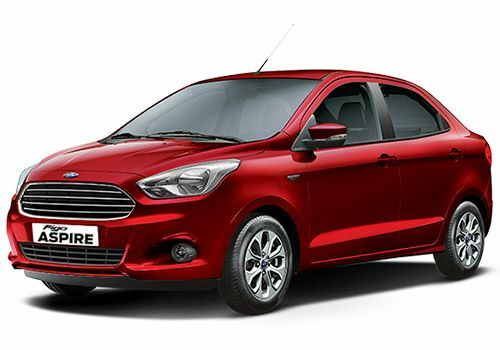 The new Ford Figo Aspire is offered in both diesel and petrol variants and is all set to face competition from some of the top selling and most preferred cars in India. The external look of the Figo Aspire is very attractive and stylish. The front face of the car comes with body coloured bumper and radiator grille touched with chrome. The interiors of the car have been designed to offer a pleasant look. The cabin looks pretty impressive in dual tones of charcoal black and light oak. All the models come with fabric upholstery while the top model comes wrapped in leather. The 1.2 litre petrol engine produces 88bhp output and 112Nm torque, and comes with a five speed manual gearbox. Ford Figo Aspire also comes with a dual clutch automatic petrol version which is clubbed with the 1.5 litre petrol engine that produces 110bhp and 145Nm of max torque. The manual and automatic variants offer mileage of about 18.16 kmpl and 17 kmpl. The 1.5 litre TDCi engine in the diesel version generates 99bhp output and 215Nm of torque. This is presently the most powerful engine in this car category delivering a fuel efficiency of 25.83 kmpl.